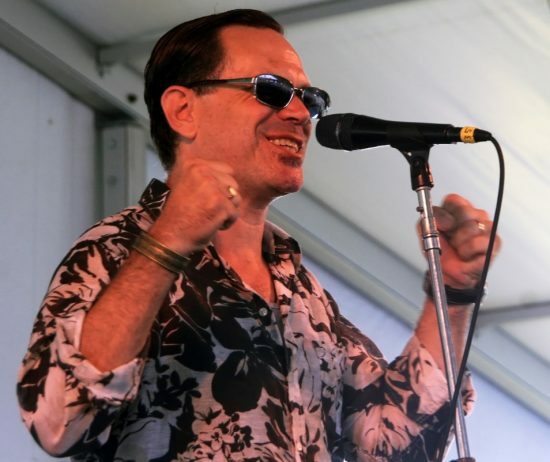 I am excited to have the opportunity to present a candid and informative interview with Kurt Elling, a vocal musician and teacher I have admired since first hearing his version of “Gingerbread Boy” from 1997’s Blue Note record The Messenger. In recent years Kurt has expanded his repertoire to include a variety of musical styles and attitudes. He appears to be unconcerned with genre or musical labels, coolly operating outside the orbit of those who favor adherence to stylistic orthodoxy. That, of course, is a discussion one often hears among members of the jazz community. Elling’s career path helps explain his all-around acumen. He developed his craft in Chicago, and recorded several of his early albums there – including his debut, Close Your Eyes, which catapulted him onto the national stage via the first of his many GRAMMY nominations. This proved the start of something big: every one of Elling’s nine albums has been nominated for at least one jazz GRAMMY – a streak unequalled in GRAMMY history. With this as our musical backdrop, I thank Kurt for taking the time to share his valuable knowledge and valuable insights with us. He is a master musician and vocalist, and there is much to be learned from the road he’s traveled. Roseanna Vitro: What were your early influences and when did you realize you wanted to be a singer? Kurt Elling: My father is a church musician, and all of us were given instruments to play and lessons. I don’t remember a time before singing. I am told I was making up parts and harmonies to the hymns in church, but this is probably apocryphal information. But music was always a joy to me, and I did it because it was natural and it made me happy. However, I did not even know any professional musicians, other than my father. I did not play the pipe organ and did not want to lead a choir, so I didn’t really consider singing professionally until I was leaving graduate school many years later. By then, I knew a lot of players in Chicago, had played enough gigs and seen enough to know that it was possible, if unlikely. So I decided then. What singers and musicians were your primary influences? Mark Murphy is certainly the door through which I found out about the broadest range of jazz singing possibilities. By this I mean that Mark distilled a great number of things which preceded him, and then showed how one could point them in the direction of his own new and original ideas. He recreated songbook classics and hipped up bop through his phrasing, arranging and unique vocal ingenuity. Mark shows us all that the singers’ art is never done evolving. He showed how moving and dramatic an evening of jazz singing could be. I also became aware of Kerouac and the whole Beat/jazz connection through Mark. He has made a lifetime of innovative, truly great vocal jazz records, and continues to innovate. His most recent recordings are among his best. Jon Hendricks, of course, perfected the art of vocalese, which is the writing and performing of a lyric to a previously recorded instrumental solo. His brilliant work as a lyricist is unrivaled in this field for rhyming ingenuity and Mother Wit. His work leading the groundbreaking vocal trio Lambert, Hendricks and Ross cannot be underestimated. Jon is one of the all-time great improvising singers, and is the premier singing showman in jazz. ANY Lambert, Hendricks and Ross side is a classic. What’s more, Jon has made a number of solo records which are great. If you see Jon’s name on it, it is important. While she lived, Betty Carter was the paragon of jazz singer as total artist, total bandleader and total business manager-head. Her recording of “Spring Can Really Hang You Up The Most” from The Audience With Betty Carter is probably the most masterful modern reinvention of a standard ballad by a vocalist to have been recorded. Al Jarreau at his best is as inspiring and swinging a singer as you are ever likely to hear. I listened to a lot of Al in college, and learned (or, tried to learn) most of his licks beat for beat. He is a great writer, too, and I continue to check out all of Al’s stuff, because it has a tendency to be very human and very beautiful. His take on Dave Brubeck’s “Blue Rondo” is a virtuoso statement beyond category. Joe Williams brought a refinement and natural manliness to blues-oriented jazz singing which has gone unparalleled. His live, small group recording A Swingin’ Night At Birdland (featuring Harry “Sweets” Edison) is among the hippest available. Digging him swing with the Basie Band on recordings is a necessary experience. Ella Fitzgerald, of course, brought a singer’s sensibility to the improviser’s art, making every line she ever sang sound like the most natural and necessary thing in the world. The genuine sweetness of her personality comes through in all her recordings. Eddie Jefferson invented a new art form. Who gets to do that? Vocalese, the aforementioned art of transcribing an instrumental solo and then writing a lyric for it belongs to Eddie alone, and could only have happened with the advent of recorded sound. God bless Eddie and also the great King Pleasure for bringing this baby to the broader world. Tony Bennett continues to knock audiences out with his willingness to give his whole self to every audience, holding nothing back. It is his great gift-to open his heart up so completely every night on every song. I loved Tony before it was cool. However, I must admit that his comeback records in small group settings with the Ralph Sharon Trio are his best. Andy Bey-soulful and intelligent art of the highest order. Cat can make your dog weep. A great singer/player foolishly unheralded by the broader jazz consortium. ANY Andy Bey record is a great record. Don’t forget my lovely friend Sheila Jordan. She’s also a liberated jazz singer of the finest kind. There are a lot of lessons in freedom and wisdom to be learned from a Sheila Jordan set. Pick up anything of hers you can find. I also listened to a lot of Chet Baker coming up. He is a great teacher of how few “extras” a great song needs to communicate with real depth. Chet was a master minimalist, and yet not one iota of emotive power is ever missing from his work. Though the work he did in his youth is the first most people think of when they think of Chet, I recommend “Let’s Get Lost,” which he made in the year before his death (with McCoy Tyner doing magnificent work on piano). Of course, none of this could have happened without Pops. Louis Armstrong pointed the way for all of us, infusing singing with his own complete instrumentalist’s consciousness. He was a master musician and improviser on all levels. He was transparent to his audiences. Because of that, he became a friend to the world. Were you a disciplined student in school? I did mostly choral work from grade through graduate school. I never went to music school, and never took many individual lessons for voice. Mostly, I have elaborated and extrapolated from choral work, and learned from recordings, on the stand, and at the occasional Q&A with other musicians. Mark Murphy laid some important information on me, as has Jon Hendricks. Most things I have absorbed by listening and watching and from hard work on my own. I wish I had more of that music school information. I’ll spend my life trying to catch up there. On the other hand, if I had gone there, and not to a good liberal arts college and not gone on to the University of Chicago for Divinity School, I doubt that I would be able to bring to bear the wider philosophical and literary awareness I have into the mix. Many times, students ask me where I get the ideas I do. Well, it’s from having had a reasonably diverse and interesting intellectual career. I read a good deal, and try to stay current in the broader conversation. Also, one has to be curious about everything. When did you start transcribing solos and writing your original vocalese? Just as soon as I figured out that vocalese existed. I had already in mind a number of solos I desired to sing. I just did not know that doing so was a possibility. That’s why I had a selection or two already good to go on my first record. What books or college programs would you recommend to aspiring jazz singers? I know Steve Zegree has a successful program over at Western Michigan. There is good music happening up in North Vancouver-at Capilano College. There is a very innovative and complete education to be had at Humber College in Toronto. There is a great teaching staff at the Manhattan School-Theo Bleckmann, Peter Eldridge. JD Walter wrote a great book on vocal jazz, but I am not sure it has come out yet. When you’re planning a new recording does the concept start with you and then filter through a producer at Concord to flesh out and approve your choices? Do you have artistic license to record whatever material you desire? I always have a concept and as many of the compositions as I can forward to my project manager, Chris Dunn, at Concord ready very early in the game. Chris is a jazz person and respects me and the whole tradition. I am fortunate to have an actual friend as a collaborator within Concord. I am happy to say that I have never recorded a note that I did not choose for myself. How do you stay positive at this stage of your career? I feel very fortunate to have a robust touring and recording career, even if I am not making boatloads of money (which I am most certainly not). I have everything I desired when I first began: a hot band with a signature approach and sound, a developing reputation for quality, the possibility of a seat at the table of those who keep jazz alive. I do not envy anyone trying to come up at this point-not because the music is drifting or lacking in space for innovation-but because the business end needs so much more energy than ever before. For more information, visit Kurt Elling’s website.